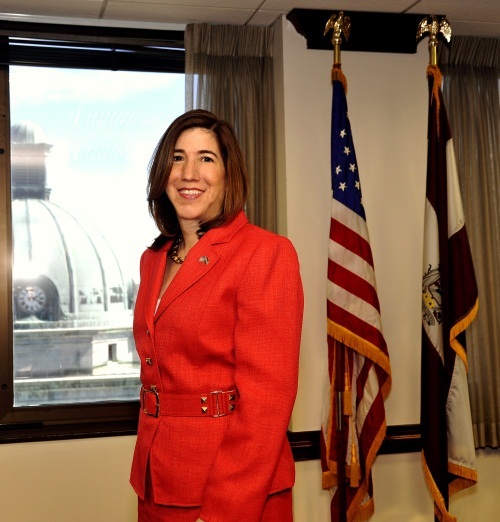 Montgomery County Commissioner Leslie Richards announced last night that she would not be seeking the Democratic nomination for PA-6. “I am honored to have been asked to consider running for Congress, and I am extremely grateful for the outpouring of local and national support I have received over the last several days,” Richards wrote. Richards is one of a few Democrats who have ruled out a run for the seat vacated by incumbent Rep. Jim Gerlach (R-Chester). Downingtown Mayor Josh Maxwell and Caln Commissioner Josh Young have both announced that they will not seek the open Congressional seat. Update: The Reading Eagle reported that Senator Judy Schwank would not run for the seat either. “I feel it would be a disservice to the people who elected me,” she said. Even with these three withdrawals, the prospective field for the nomination is still fairly broad. Other Democrats considering a bid for the seat are physician and former candidate Manan Trivedi and New Democratic Coalition spokesman Phil LaRue. According to Cook Political Report, the district is R+2 which definitely makes it competitive as an open seat. Republicans potentially vying for the seat are State Senator John Rafferty, former Senate candidate Sam Rohrer, businessman Patrick Collins, as well as Chester County Commissioner Ryan Costello or Chester County Republican Chairman Val DiGiorgio. Good for Montgomery County. Leslie needs to stay there and contiune the great job she is doing. She can really help people in that position. Chesco Democrat Chair Michelle Vaughan is a joke. She backed Richards from Montco for a Chesco seat. Problem was Vaughan backed a candidate who isn’t even running. LMAO!!!!!!!!! Vaughan next move will probably be to announce her support for cartoon characters. Breaking news Vaughan supports Minnie Mouse for Congress. Vaughan’s past ineffectiveness has already earned her multiple nominations for Republican of the year. Did she finally look at a map of PA6? The only part of it in Montco is where she’s selling off hundreds of acres of open space.